This emerging business needed a new brand to support its launch. 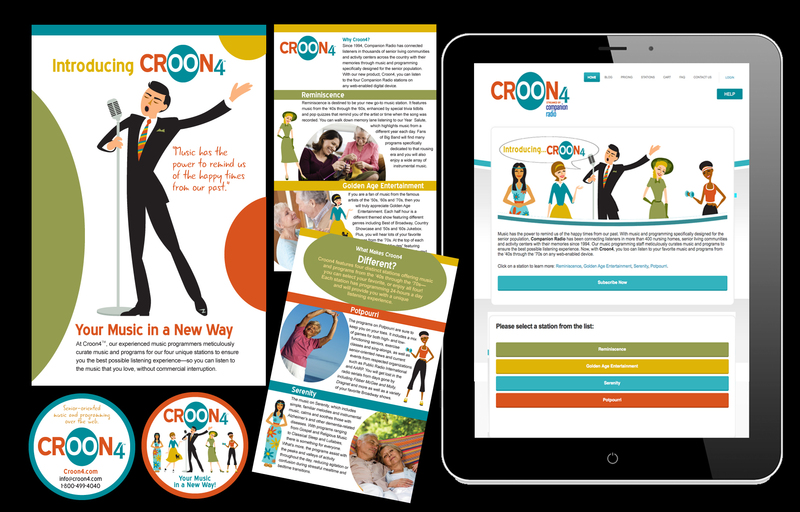 Croon4 desired a unique look and identity to set it apart from radio competitors. Through the Brand Boost process, we developed a fun, vibrant brand and applied it to marketing collateral and web design to attract new listeners and spread the word.